A month after the Deckmasters boxed set was released, Wizards of the Coast held the actual Deckmasters event. 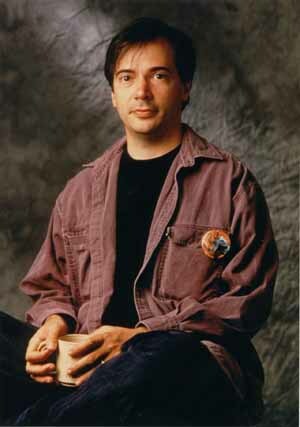 Richard Garfield and Jon Finkel sat down across from one another at the table of battle, and each wielded the deck that they had created. Given the tremendous fanfare that surrounded the occasion, and the fact that a special-edition product was released in its honour, the result could only have been a disappointment. It should come as little surprise to learn that the rules of the game had changed since the game’s founding, and Garfield found himself on the wrong side of them more than once. “Shouldn’t we be playing by the rules as I made them?” he quipped, making light of his plight, but the first game went to Finkel. A larger sample size minimises variance. Anything can happen in the Super Bowl, but usually the best team wins it in the seven games of the Stanley Cup. With Finkel inarguably the more skilled player of the game in his time, playing a limited three-game series actually worked in Garfield’s favour, but it was simply not meant to be. 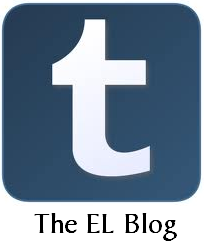 With this on our minds, we wondered if history would now repeat itself. 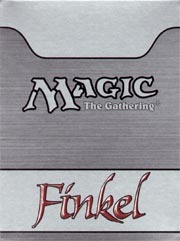 On the first leg of the replay Garfield’s deck had avenged its maker, going 2-1 over Finkel. But there were three more matches yet to be played. And almost anything can happen. It’s an intriguing thing about these decks, which one might similarly feel playing one of the World Championship decks, is that they are the exact deck that a noteable Magic player sat down to duel with some time in the past. 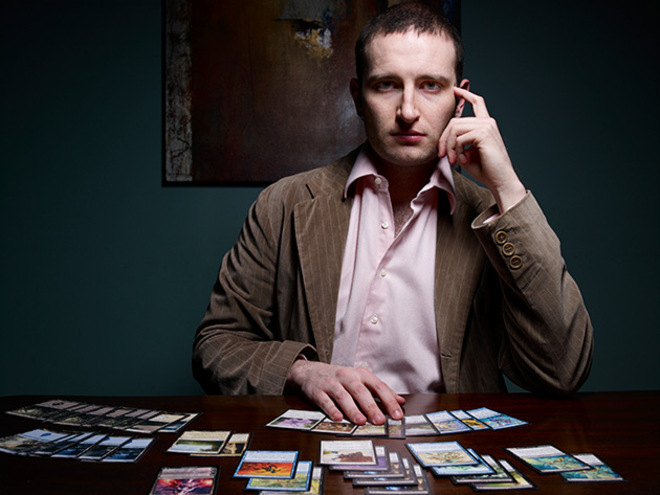 The 60 chosen cards, the opening grip of seven, the decisions whether to mull or to keep… Jon Finkel and Richard Garfield both once sat down and pondered precisely the same, giving the decks something of a historical feel. It was in this spirit of historical reenactment that Jimi and I sat down to do battle. With her in Garfield’s chair and I in Finkel’s, here are our match notes. In the booklet that comes with the Deckmasters boxed set, both Magic creator Richard Garfield as well as the game’s best player, Jon Finkel, make mention of the same analogy in their deck write-ups, and it went more or less as follows: who would you pick to win a game of basketball, Michael Jordan… or Dr. James Naismith, the man who created the game. Written in 2001, the analogy has a certain sense of regrettable prescience about it. Most folks if asked today know exactly what basketball is, but very few might know Naismith. One wonders how long it might be before Garfield suffers a similar fate. After all, how many Magic players have ever read Worzel’s Story, the dollop of pulpy placesetting fiction penned by Garfield that was included in the rulebook in Alpha (and removed from all subsequent printings)? It’s not a number that grows. How many even know what it is? What’s reassuring here are two things- first, that if a game is established long enough so that it’s still being played long after its creator is easily remembered, then that game can most assuredly be called a success. And second, one very quickly realises that there’s much more to Garfield than Magic. 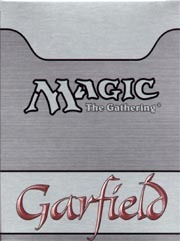 Gamers of a certain age are sure to remember other collectible card games that Garfield had a hand in creating perhaps without even realising that he was involved: Jyhad (later Vampire: The Eternal Struggle), Netrunner, BattleTech, Dilbert: Corporate Shuffle, and Star Wars, to name the more well-known ones. He still enjoys a paterfamilias-level of respect from those involved with the game, and continues to be active in gaming and game design. Pro tip: check out his “Three Donkeys” podcast (also available on iTunes). Of course, we’re getting ahead of ourselves here, but for newer players it might be useful to at least establish that what Jon “Johnny Magic” Finkel was up against was no slouch himself. Still, he addressed the Deckmasters competition with a healthy and somewhat unconventional approach, and his deck reflects this. In Finkel’s we saw a who’s-who of solid, efficient beaters backed by truckloads of removal. In Garfield’s, we see something altogether quite different.